Shipping according to product in Magento module is much needed feature for the Magento base shop admin that’s why we created a module for shop admin that allowed shipping amount calculate on base of each product. 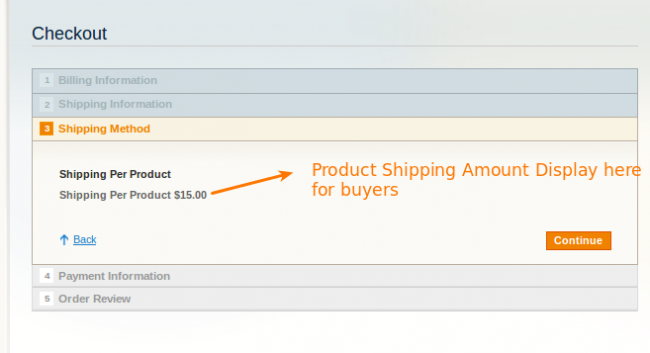 Admin can add different shipping price of each product. Installation of the module is super easy you need to move the app folder into magento root directory. After the successful installation of the module you will see Magento Shipping On Per Product shipping method under system > configuration > shipping methods. How to Use– Module use is very simple, after the successful installation of the module you will see a text field Under Product Add/Edit Price Section in admin panel. When you will enter shipping price on that product. And you need to enable the shipping method and it will work as per the screenshot, you can see the shipping is applied on product and from here buyer can see total shipping amount of each products.